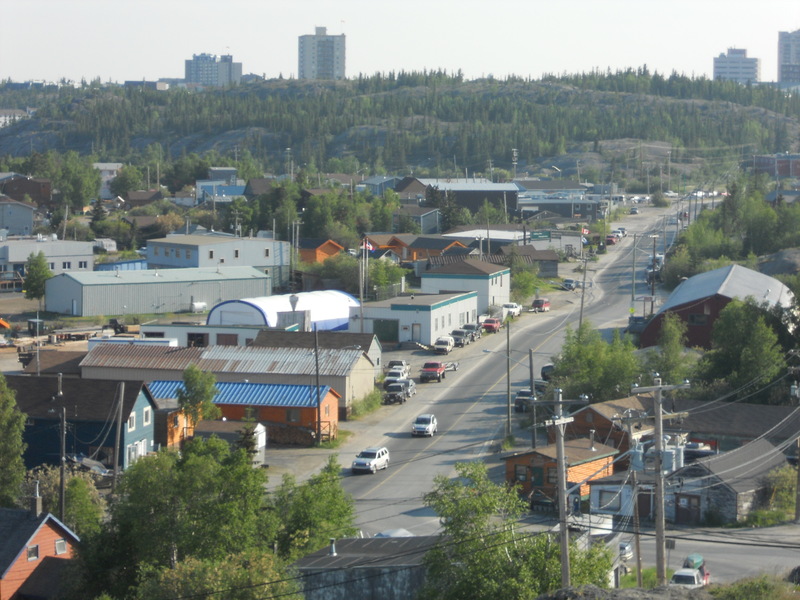 The summer solstice has just passed and the best time to be in Yellowknife is during these long days of glorious midnight sun. Blackout curtains are an absolute necessity, to avoid a severe case of sleep-deprivation, as I discovered last summer. Without the darkness it’s hard to go to sleep at a reasonable hour, because the usual indication of the time is absent. Of course, the opposite is true during the winter, when without the sunshine, it’s hard to wake up in the mornings. Since I’ve been here, I’ve learned to live with my body clock’s wires crossed for most of the year. But sleep deprivation is easier to handle in the summertime, when the overarching theme seems to be “don’t worry, be happy”. For all the time that I’ve lived outside of the Caribbean, summer has always been my favourite season, and it always will be. In Toronto it was an enjoyable time of year, and I do miss the variety of things to do and see and its many summer festivals. 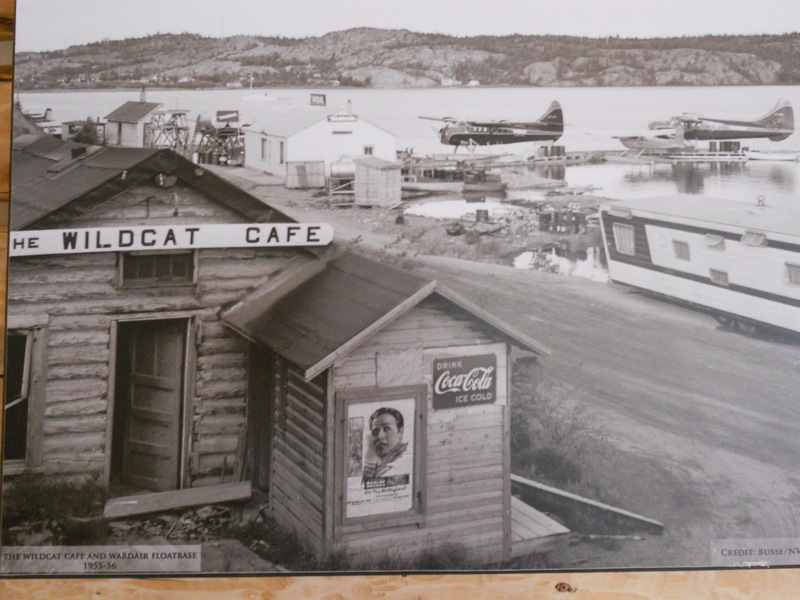 But summer in Yellowknife has a different quality, and in my experience, there’s nothing to beat it, for its spirit and the sheer joy of living. Like moths attracted to light, Yellowknifers flock outside, stay out for as long as possible – sometimes all night – have barrels of fun and generally celebrate life. Nature also rejoices. The trees burst into full leaf, seemingly overnight. One day they’re bare, then buds emerge, and before you know it, everywhere you turn, there’s foliage pushing out from between the rock and gravel, green grass in the parks and flowers exploding in pots and planters. The most stubborn bits of ice on the Great Slave Lake give up the ghost at last and the water sparkles in the sun. To complete the postcard picture, the ski-doos are replaced by sea-doos and the sailboats, kayaks and canoes come out. There is never a shortage of things going on in this town, and in summertime there is a dizzying stream of outdoor festivals and events. Even without these, it’s difficult to stay indoors during the summer in Yellowknife, (especially for people who may have committed to writing a monthly blog). If your work week is too busy for cooking, a perfect place to pick up dinner is the farmer’s market at City Hall, which runs every Tuesday evening from June until September. The initial weeks are too early for any crops to have been harvested, so its offerings include nutritious raw and cooked foods and juices, jewellery and crafts. The northern growing season is short, but due to the long hours of sunshine, plants grow at an amazing speed, and can become unusually large. The produce will appear soon. 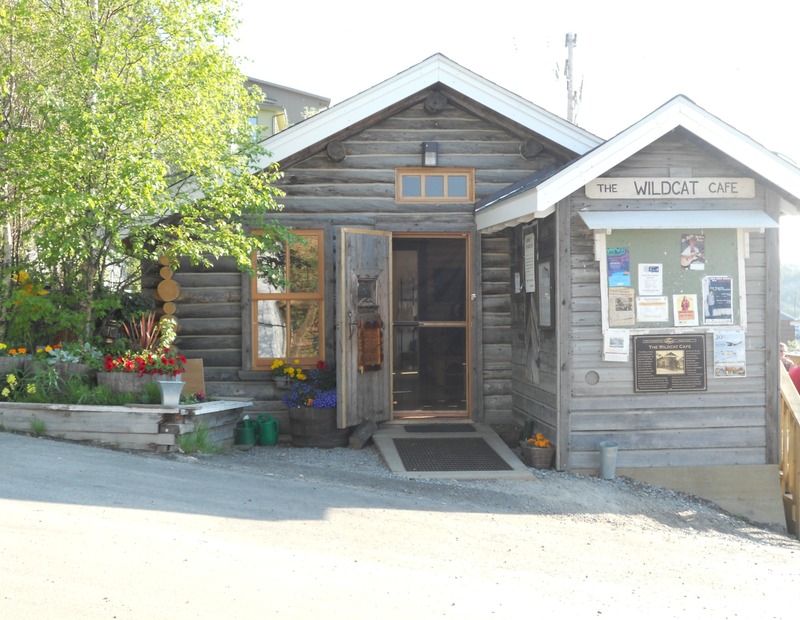 The Wildcat Café finally opened this month, after a renovation project of over 2 years. First it opened for viewing by the public, and a week later it opened for business, with live music. I popped in one afternoon to take a look around, and it was worth the wait. It’s a mix of the rustic and the modern. 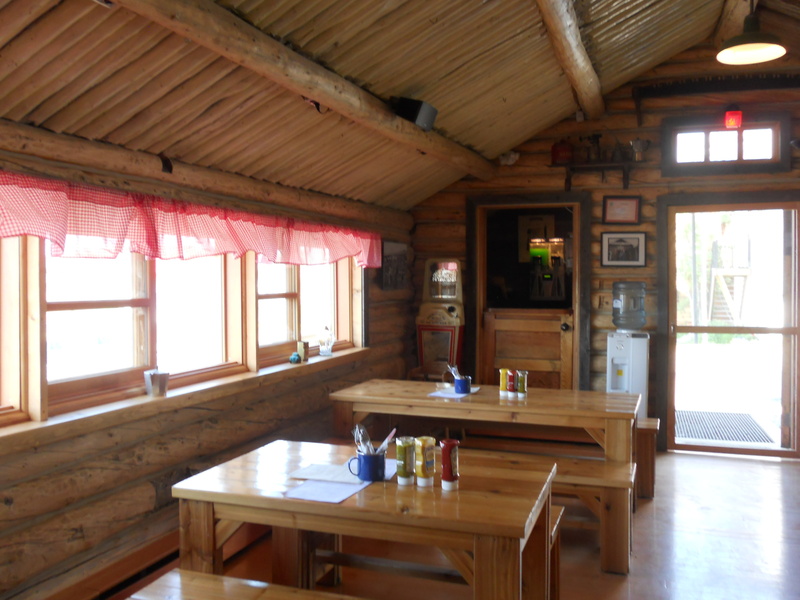 The old logs making up the walls and roof of the cabin have been preserved, and the floors, kitchen and washrooms have been updated. On the walls there are pictures of the cafe from years ago. The patio is especially enticing, and it was packed during my quick stop. Starting from late May, the gyms empty their members into the fields and open spaces, and outdoor sports take over. My favourite is slopitch baseball, which I started playing last year. (The joys, injuries and lessons of my inauspicious debut are described in muscle-pulling detail in my “Baseball is definitely not cricket” blog of last August) This year the season started in June, because the weather in late May was not very co-operative. But it’s in full swing now, as is my bat, which sometimes makes contact with the ball, and sometimes not. It’s a long time between seasons so I’m a bit rusty, but I actually remembered some of the rules and have learned a couple more. My glove has been broken in by a season, so it’s not as stiff as it was last year, but let’s just say that my catching skills still need work. I confess that it was hard to accept the fact that I’ll never be a draft pick, but after many sleepless nights, and drowning my sorrows in copious quantities of alcohol and a few joints, I’ve managed to come to terms with it. The fun factor has in no way been diminished by this realization; perish the thought! Last season I was usually the rover and I avoided any position where catching the ball was crucial – which is just about all of the others. This season I’ve had a few stints as the catcher, which I’ve discovered is easier than being at a base or in the field, because unless somebody is running for home, the ball is coming at me slowly. No amount of body armour could get me to be the catcher in “real baseball” where the ball comes hurtling at 100km/hr. If I’m going to play baseball, it’s always going to be the relatively slow game of slopitch. On the subject of slow games, golf is also very popular and the endless sunshine makes it easy to play late into the night. The Midnight Classic golf tournament is an annual event held for the summer solstice, with the golfers teeing off at midnight. This year marked the 62nd edition, so it’s quite a long-standing tradition. 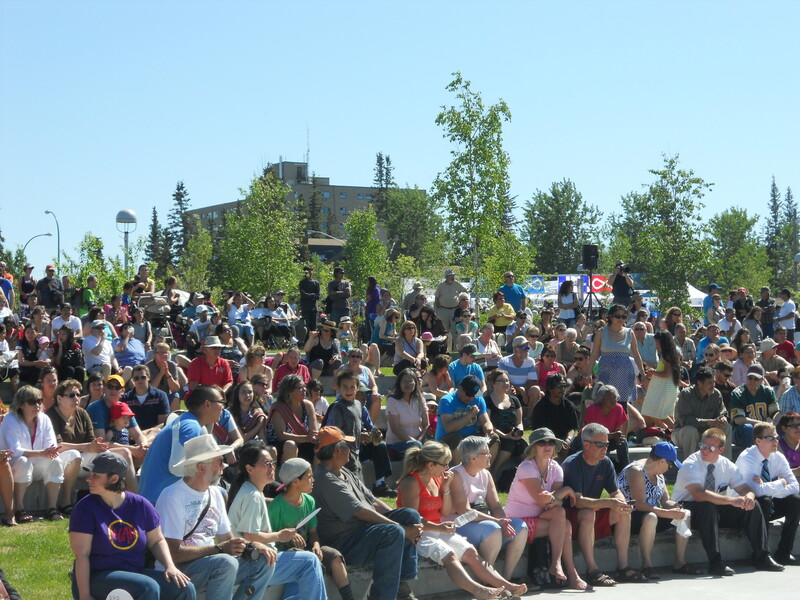 The event is well-known outside of Yellowknife, and many players travel from out of town to take part. Another very popular event, with a sell-out crowd, but not exactly of a sporting nature, is the Beer Barge Bash. This is put on by the Northwest Territories Mining Heritage Society and reenacts the old days, when the first supply barge arrived after the spring ice breakup. It brought food, goods, people and beer, the latter evidently being the most precious and eagerly anticipated of the cargo. Yellowknifers love their cups, and in the days when barges were a key means of transport, supplies would be running low by the end of the winter. I can picture a bunch of ornery miners waiting impatiently on the dock upon first sight the barge. Who cares about the new folks coming to town, or about stuff to eat or toilet paper? Where’s the beer??!! At the contemporary version of this event, the party is held at the dock and the barge arrives carrying only beer. Beer bashers dress in costume from earlier days and there’s a contest to guess the time that the barge will arrive. Some things in this town really crack me up. June 21st marks much more than the summer solstice. 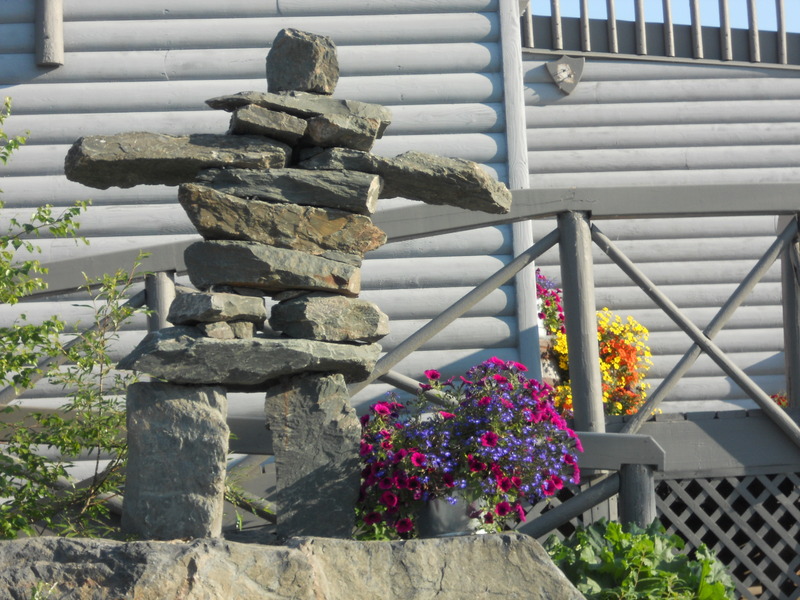 It’s also National Aboriginal Day, a celebration of the heritage of Canada’s First Nations, Metis and Inuit people. This is a public holiday only in the Northwest Territories, and it seems odd to me that it’s not a national holiday, or that the celebrations are not more widespread and significant. 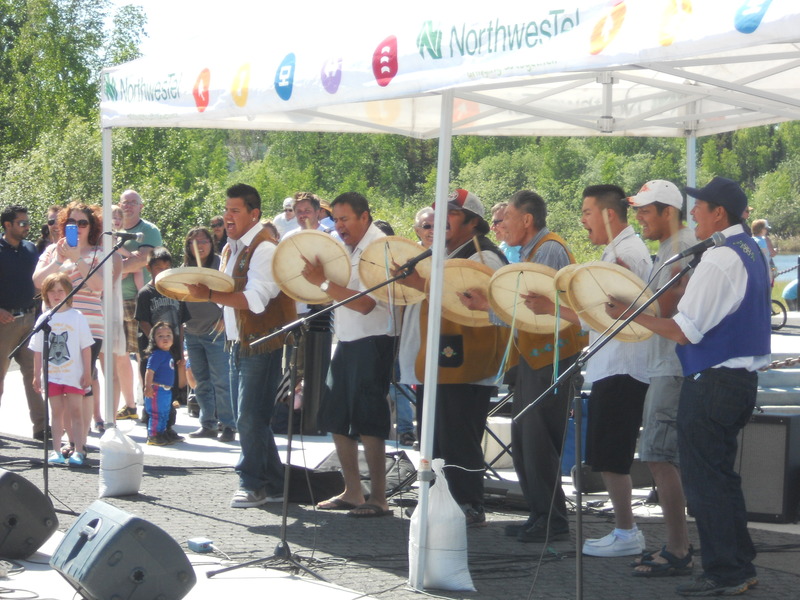 In Yellowknife there are celebrations at Somba K’e Park in front of City Hall and at the Yellowknife River. I made it only to City Hall this year, but I took in both locations last year, and captured the day’s events in my “National Aboriginal Day” blog. This year I arrived at the tail end of the jigging, but in time to see the Yellowknives Dene First Nation Drummers, whom I always enjoy. So did everybody else, as all it took was one man to dance his way into the concrete circle in front of them, and people poured in for a couple of rounds of drum dancing. To stave off any hunger there was a fish-fry, and to keep any blues away there was lots of lively fiddling and folk singing. Craft items were on sale, such as traditional baskets made from birch bark, sewn together with tree roots and decorated with tufting made of moose hair. There was a tepee building competition, and contestants made it look very easy. 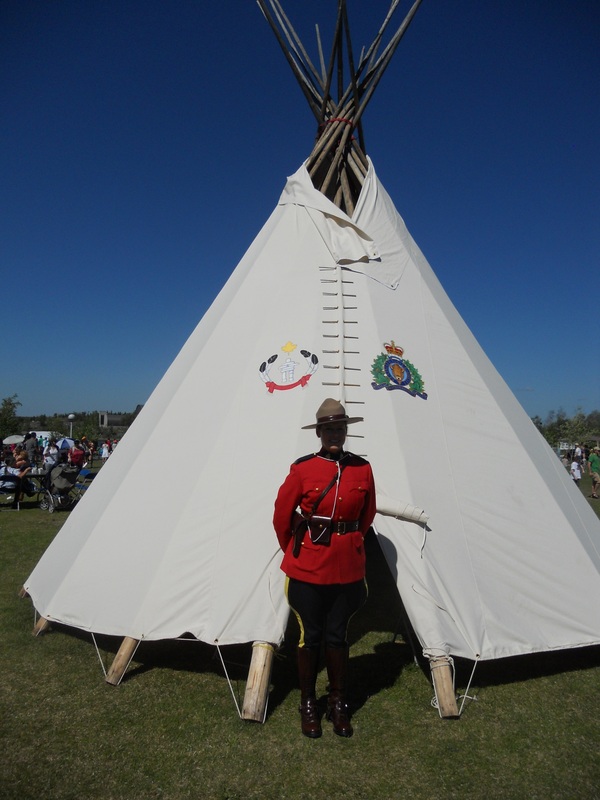 The RCMP were also on hand with a teepee of their own, showing off their old and new logos, which were probably lost on the children who happily ran in and out of the teepee, absorbed in their play. An officer in the distinctive red uniform stood outside. She maintained remarkable cool and calm, given that her uniform was made of wool and it was sweltering hot. I asked her if she wasn’t roasting in it, and she admitted that she’d like to dive into the lake. There was a good turnout for the festivities and the sun beat down on us, such that I could feel it cooking my bare shoulders. When I tell people that it gets hot in the north, some respond with scepticism. The non-believers might be shocked to learn that we’ve had a heat wave this month. By that I mean temperatures in the 30s and as high as 40 one day last week. I’m convinced that I feel the heat of the sun more intensely in Yellowknife than I did down south. It might be because up here the air is clean, devoid of the smog that shrouds Toronto in the summer, so the sun’s rays are undiluted. I wait all winter for this time of year, so I’m definitely not complaining. Last winter I spent enough days frozen solid in temperatures of -40, so I’m very happy to be freed of the shackles of boots and coats, and baked at +40. It’s summertime so the livin’ is easy, I’m in the land of midnight sun and to crown it off, it’s baseball season. I can’t ask for anything more. Not keeping track of your blog, has been a personal loss. Thanks for sharing another great piece. You certainly are a very clever wordsmith, I actually found myself considering a visit to this remote place you now call home. Thanks Annie, and you really should visit. The summertime temperatures should be very much to your liking.